Since its inception in 2006, Dubai South has earned its place in the world’s top five best communities to live in, infrastructure and transport categories. Projected to sustain a population of one million people and to create more than 500,000 jobs, Dubai South has benefited from an ongoing government investment in infrastructure projects and has become the home of Al Maktoum International Airport (the largest airport in the making), Expo 2020 and Dubai Metro’s Red Line, which will add an immense capital growth value to the area, once completed. This master-planned “aerotropolis” has acted like a magnet for investors, developers and home buyers who saw the potential and took the opportunity. The first two residential communities will be completed by 2019 and are expected to host affordable apartments and townhouses, with prices starting from Dh300,000 for a studio. However, land prices along Dubai’s Route 2020 are likely to surge, as the development pace picks up and demand increases. Already-established locations in Dubai are dense, leaving little room for prices to shift, whereas other areas under development are witnessing a huge shift in terms of demand for land plots, with Dubai Investment Park, IMPZ, Al Furjan and Jumeirah Village leading the way. Historically, the areas developed around key public transport nodes are proven to outperform other areas not inter-connected, but ultimately the real estate market is determined by additional factors, such as supply, demand and availability. And Dubai South has it all, becoming the place where developers are choosing to deploy their funds. The government’s decision in 2016 to sell land under the freehold and long-term lease system through flexible payment plans for non-citizens has proven to be a catalyst for growth and regeneration boosting the expansion of freehold areas and playing an active role in increasing the demand for land and encouraging investors to acquire land to develop and expand their projects. Embodying the vision of His Highness Sheikh Mohammed bin Rashid Al Maktoum, Vice-President and Prime Minister of the UAE and Ruler of Dubai, Dubai South is set to become a preferred destination for people to live, work and invest, purposely built as the “City of You”. 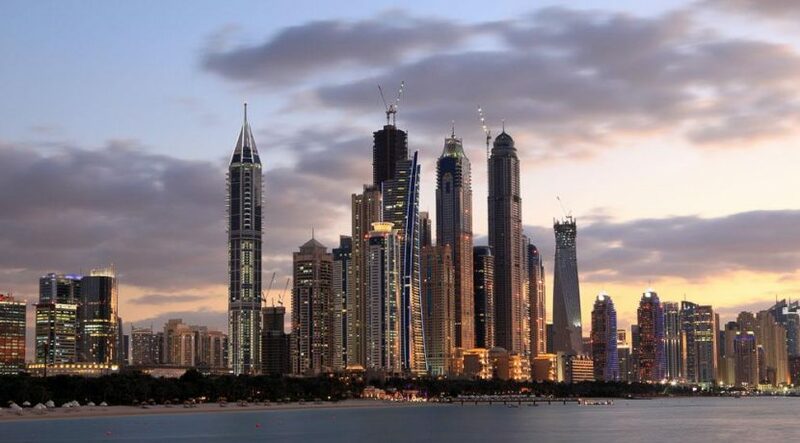 According to a research by Al Ruwad Real Estate, this type of expansions situated outside the highly-profiled areas, like Dubai Marina, Palm Jumeriah or Downtown, have contributed to the recovery of land demand for purchases and rentals. This model of establishing integrated cities adopted by developers in Dubai in order to create a harmonious living experience for the population united in one society, has contributed greatly to raising the need for additional plots to accommodate the residential communities topped up with retail centres, shopping, restaurants, health and education centres, parks and other entertainment venues. A vision in the making, Dubai South has already been nicknamed “the new heart of Dubai” and 10 years after its establishment has marked an impressive breakthrough in the real estate offerings with projects like The Pulse, Emaar South or The Villages and the opening of the VIP Terminal at Al Maktoum International Airport (the largest facility of its kind in the world) witnessing an unprecedented 43 per cent growth in the numbers of companies listed. Adopting an integrated approach to growth, Dubai South has been shielded from market slowdowns and rocky economic conditions, taking leaps forward on capitalizing on existing thriving sectors merging aviation, maritime and land transportation modes with business operations, logistics, housing solutions focusing on sustainable living centered around happiness, and thus creating the blueprint for a future-proof city.